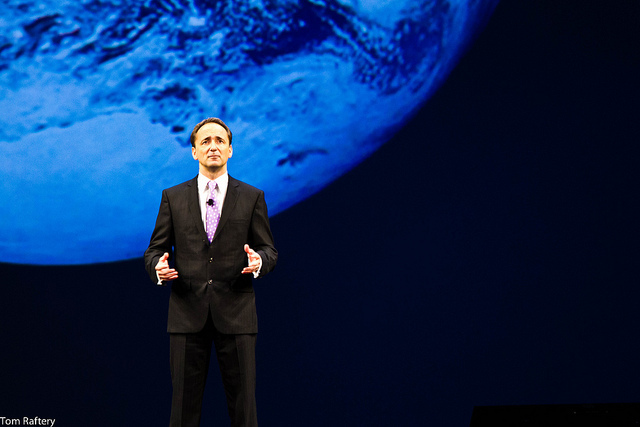 So said SAP co-CEO Jim Hagemann Snabe at this year’s SAP Sapphire Now conference in Orlando. He then went on to predict three major trends in computing for the coming years – according to Jim, in the next five years everything will move to Cloud, everything will be in main memory and everything will be mobile. This wasn’t just some off-the-cuff remark – these three developments are core to SAP’s product roadmap – even in the Sustainability space. In the mobile space for example, at Sapphire Now SAP announced a new version of a mobile app for incident management. With this app, workers can now log issues from their mobile device with a photo or video, as well as an audio recording, and send it directly to an incident or safety manager for corrective action. This crowd-sourcing of safety information also has built-in tracking of the reported incident which is hugely empowering for workers who may previously have felt their voice wasn’t heard. And for the companies deploying this solution it leads to a safer work environment and a happier workforce. This puts me in mind of an initiative IBM rolled out with the Los Angeles Unified School District (LAUSD) where they enabled students, teachers and staff to report issues like water leaks, broken aircon/heating, exposed cables and so on, by sending text messages and photos through their mobile phones. More please. Also in the mobile sustainability space, SAP have their Electronic Medical Record app [SilverLight warning] – an app which gives doctors instant access to a patient’s electronic medical records.